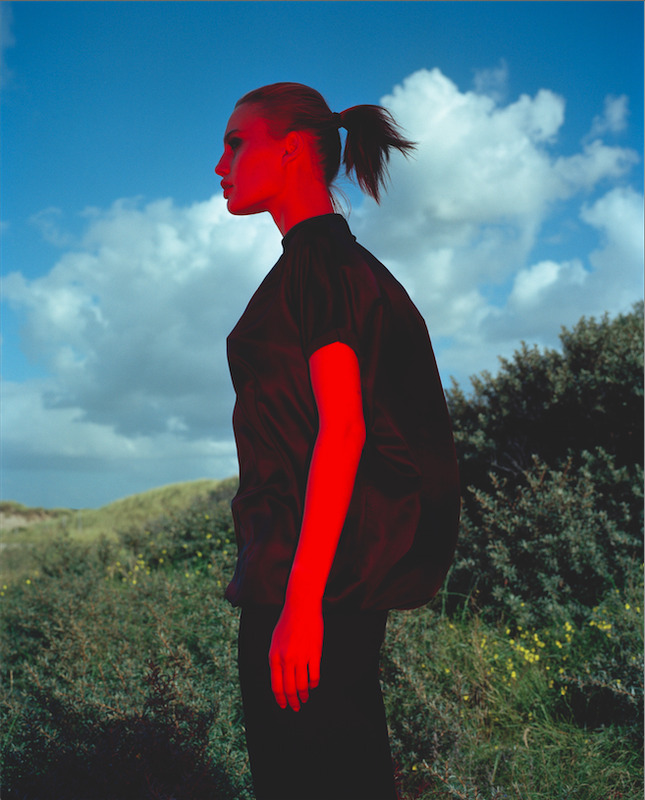 Alexander van Slobbe began his high end women's label orson + bodil in 1988. Known for his modernistic design approach, orson + bodil stayed true to its starting point using handicraft techniques and producing in small series in the Netherlands. On the start of orson + bodil in 1988 Van Slobbe wanted a reappraisal of craftmanship, to concentrate on development of individual pieces and to put on the market small series of each design, prefarably made by hand. It was a personal act of resistance to the obligation to come-up with something new every 3 to 6 months using the latest fabric developments and the latest colour chart. In 2003 the Archive Collection was launched, archive pieces in different guises by varying fabrics or altering shape and length of the original garment. One of the signature pieces of orson + bodil in the archive collection is "the Beauty". This design first appeared in the collection in the summer of 1994 in silk, while in the present in denim.